Looking for a gift for the person who has everything? Need a favor for a wedding, corporate event, or conference grab bag but don't want to give a cheap trinket? 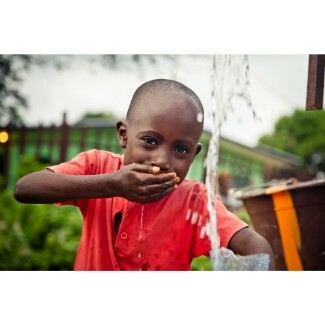 Give the gift of clean water! Our In Your Honor Card for Clean Water provides one month of clean drinking water to a person in Central Africa Republic through Water for Good on a beautifully designed card. Click here to be notified by email when Clean Water In Your Honor Donation Card becomes available.